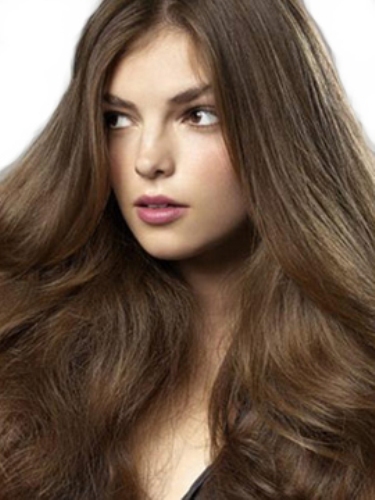 If you compare the thickness of the brown hair’s strands with the fair hair, they are thicker. If you compare them with the red hair, they are thinner. Brunette is a term used to call the women or girls who have black or brown hair. It was taken from French word, brun which means dark haired, brown haired and brown. The people who have brown hair usually live in United States, Southern Europe, central Europe and Greater Middle East. The Melanesians and Australian Aborigines also have brown hair. There are various shades of brown. The light brown tone is available with a small sign of blondism. The people also have the darkest brown or almost black tone. The shades include milk chocolate brown, light chestnut brown, medium brown, dark brown, deepest brunette, light ash brown, cinnamon brown or even burgundy brown. The people who have the brown hair are always associated with smart, serious, sophisticated and stable characters based on the popular culture in the west. There was a study about the women with brown hair. The report stated that the brown hair women were linked with competence and stability based on 62 percent men’s opinion. It was very surprising to know that 76 percent of American women believed that the first president of US will have brown hair based on the report in Allure magazines in 2005. Get facts about brown eyes here. Gentlemen Prefer Blondes was written by Anita Loos. The sequel of her novel was But Gentlemen Marry Brunettes. If you check the popular culture, there are many depictions about the rivalry between the blonde women and brunette women. Get facts about blonde hair here. It is very easy to find out the brown haired women in Europe. The darker shade of brown is found mostly in the Iberian Peninsula, while the light or medium one is presented in Central Europe. Do you enjoy reading facts about brown hair? The low concentration of melanin is explained in Facts about Blue Eyes. Blue eyes look amazing for some people.